Apache Santuario - XML Security for Java 2.0.4 has been released. The issues fixed are available here. Perhaps the most significant issue fixed is an interop issue which emerged when XML Security is used with OpenSAML (see the Apache CXF JIRA where this was raised). 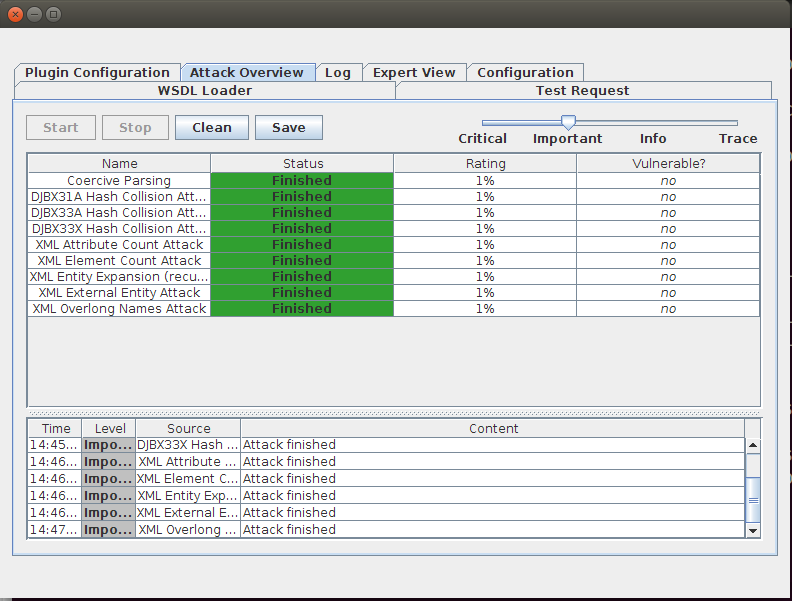 A number of automated tools can be used to conduct vulnerability or penetration testing of web services. In this article, we will take a look at using WS-Attacker to attack Apache CXF based web service endpoints. 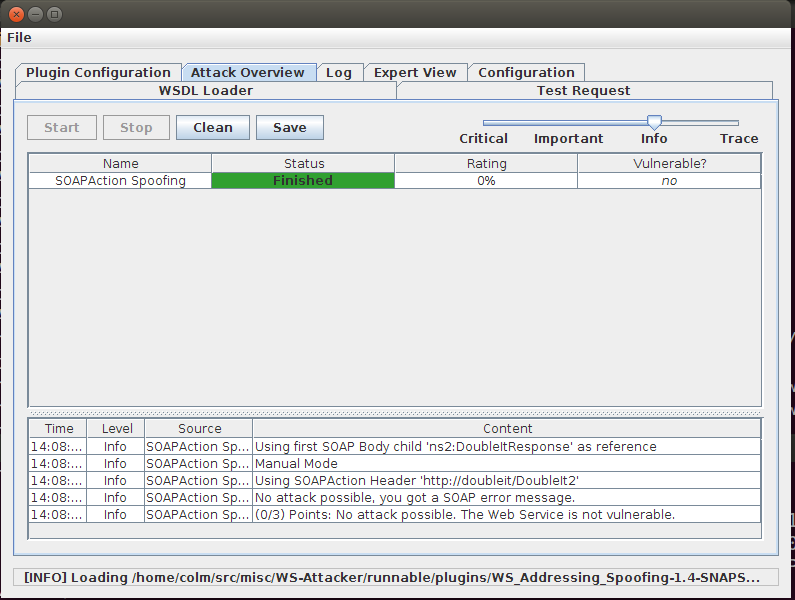 WS-Attacker is a useful tool based on SOAP-UI and developed by the Chair of Network and Data Security, Ruhr University Bochum (http://nds.rub.de/) and 3curity GmbH (http://3curity.de/). As an indication of how useful this tool is, it has uncovered a SOAP Action Spoofing vulnerability in older versions of CXF (see here). 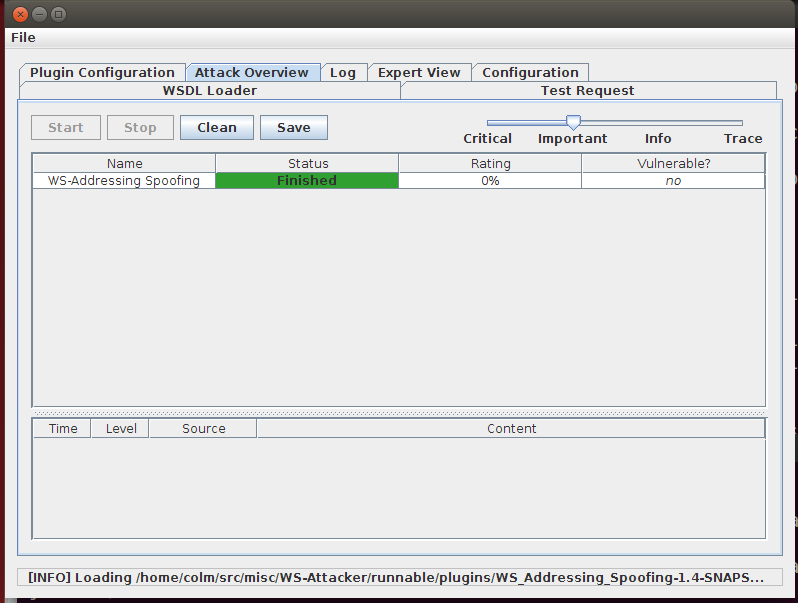 In this testing scenario, WS-Attacker 1.4-SNAPSHOT was used to test web services using Apache CXF 3.0.4. Apache CXF 3.0.4 is immune to all of the attacks described in this article (as can be seen from the "green" status in the screenshots). XML Signature allows you to sign various parts of a SOAP request, where the parts in question are referenced via an "Id". 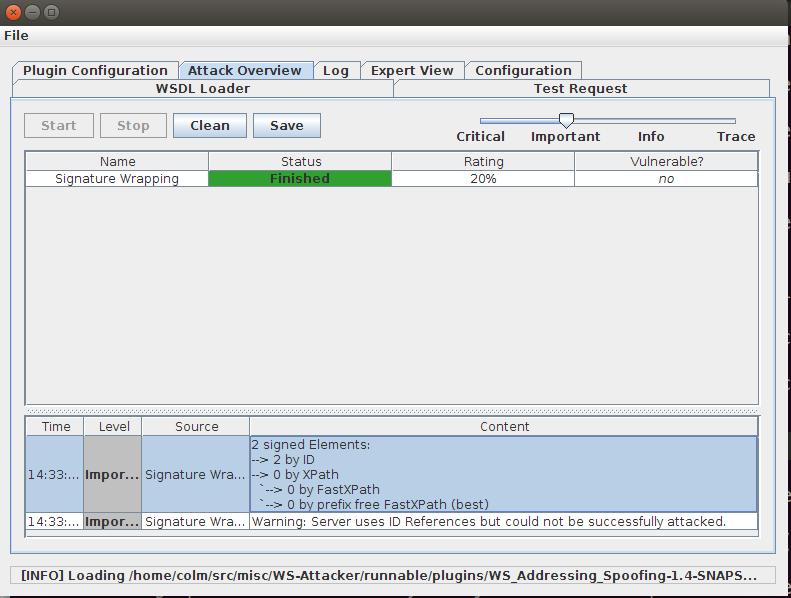 An attacker can leverage various "wrapping" based attacks to try to fool the resolution of a signed Element via its "Id". So for example, an attacker could modify the signed SOAP Body of a valid request (thus causing signature validation to fail), and put the original signed SOAP Body somewhere else in the request. If the signature validation code only picks up the Element that has been moved, then signature validation will pass even though the SOAP Body has been modified.